Over the last 4 weeks, leaders of the proscribed Indigenous People of Biafra (IPOB), Nnamdi Kanu and Boko Haram terrorist group, Abubakar Shehu were arguably the most wanted men in Nigeria. But it seems ex-Chairman of the Pension Reform Task Team, Abdulrasheed Maina, has 'snatched' that position from them. Here are five things you may not know about the millionaire civil servant. 1.) He was a public servant. Abdulrashhed Maina rose to the rank of Deputy Director in the office of the Head of Service. In June 2010, Pension Reform Task Team (PRTT) was inaugurated and Maina was assigned the responsibility to head the team. He held the position till 2013. Before the PRTT appointment, he served as senior administrator in Customs, Immigration and Prison Pensions Office, CIPPO. In 2012, Maina was accused of masterminding a pension fraud scheme amounting to more than N100 billion. Maina was invited by the Senate's Joint Committee on Public Service and Establishment and State and Local Government Administration. After investigation was completed, the lawmakers issued a warrant for his arrest. 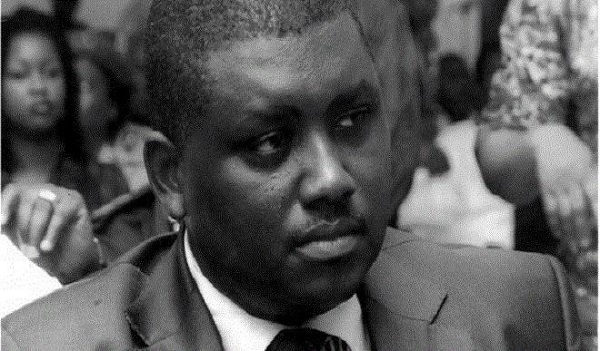 In 2013, the Economic and Financial Crimes Commission declared Maina wanted over fraud allegations regarding the use of funds meant for Nigerian pensioners. Maina was under probe for multiple allegations, including fraudulent biometric contracts, which resulted in the mismanagement of over N2billion and acquisition of choice mansions in Abuja. He allegedly fled to Dubai where he resided for three years. Based on the allegation of corruption, Maina was invited by the Senate. He ignored the panel. Maina went ahead to sue the Senate and the then Inspector-General of Police, Mohammed Abubakar. Within a few days, Maina was dismissed by the Head of Service for allegedly absconding from duty and attempting to evade arrest. Despite being declared wanted by the EFFC and INTERPOL, Maina sneaked into the country through the front door. He was posted to the Ministry of Interior by the Office of the Head of Service in Acting capacity to fill a vacancy created following the retirement of the Director heading the Human Resources Department.